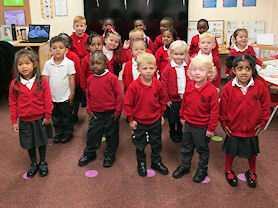 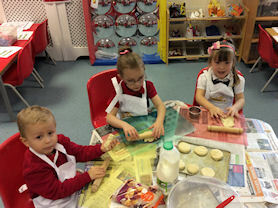 Welcome to our Early Years Foundation Stage: Nursery and Reception classes. 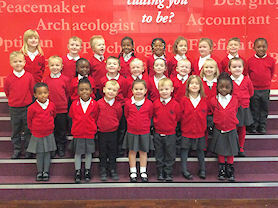 Here we will lay the foundations of your child's future success at St. Margaret Mary's. 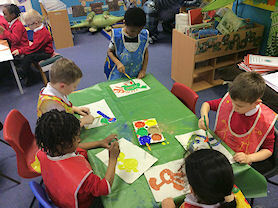 We combine parental and teacher support in order to provide a caring and nurturing learning environment for your child. 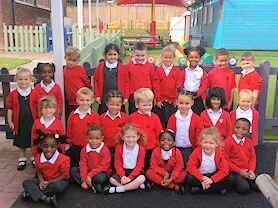 We believe that with the right start in education, your child can aim high and achieve their full potential. 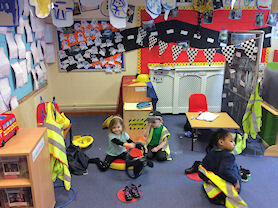 Nursery children making use of their role play area. 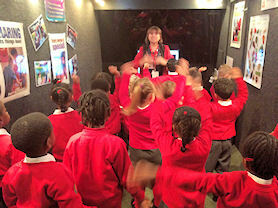 Visitors add to our engaging curriculum.